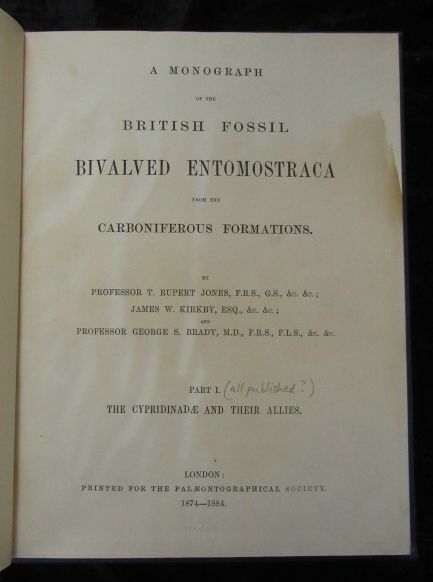 BRITISH CARBONIFEROUS OSTRACODS BY JONES ET AL. 1874 - 1884. 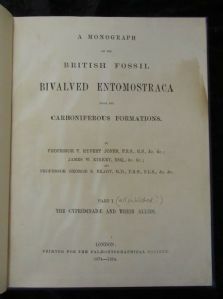 A Monograph of the British Fossil Entomostraca from the Carboniferous Formations. Part 1. By Jones, Kirkby and Brady. 1874 - 1884. Palaeontographical Society. Hardback. Cloth. Ex. 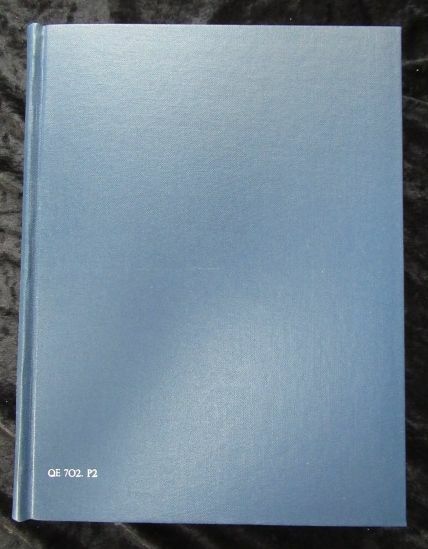 University Library copy.In good condition with slight waterstaining on corners of some plates. 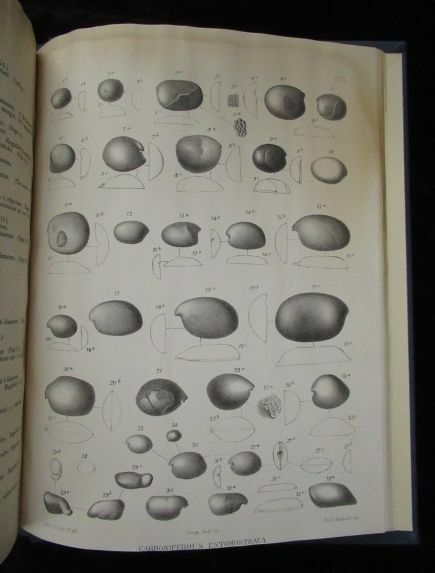 89 pages and 7 plates of fossils. 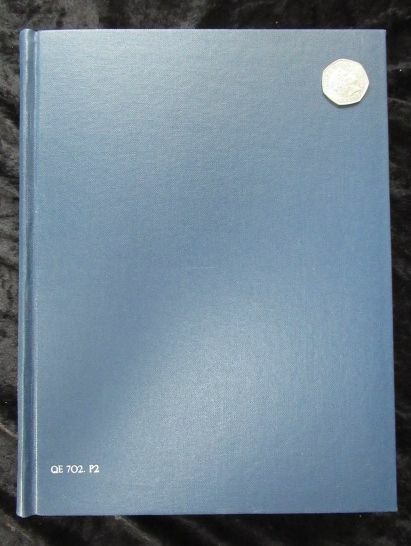 This is a scarce book and is very rarely seen offered for sale. New binding. 27.5 x 21.5 x 1.5cm.